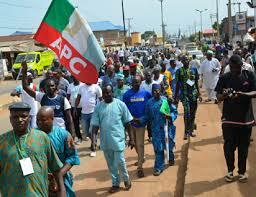 Kwara APC flags off Bye Election campaign in Omu-Aran – Royal Times of Nigeria. 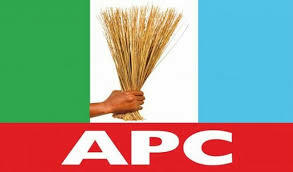 The Kwara State chapter of the All Progressives Congress, APC, will flag off its campaign to elect a member to represent Irepodun/Ekiti/Oke-Ero/Isin federal constituency tomorrow, the tenth of November. In a statement in Ajase-ipo today, the head of media of the APC stakeholder’s forum, Kayode Oyin-Zubair, said the flag will be led by the honorable minister of information and culture, Alhaji Lai Mohammed, the party’s gubernatorial candidate, Alhaji Abdulraham Abdulrasaq and other party leaders in the state. Oyin-Zubair said, the candidate of the party in the election, Honorbale Raheem Tunji Olawuyi has everything good going for him including his wide network in the area that spanned almost a decade. Meanwhile, the state chairman of APC, Honorbale Bashir Omolaja Bolarinwa this evening at the APC secretariat in Ilorin inaugurated a high-powered campaign committee led by Architect Lola Ashiru, APC senatorial candidate for Kwara South senatorial district. The statement therefore enjoined all members of the party in the state and its teeming supporters to come out enmasse to grace the flag off ceremony.